We know that our planet is an awesome place for the mere fact that it can support different life forms. And it’s also a blessing that we manage to co-exist despite our diversity. As the more superior species, mankind continues to explore the peaks of the mountains and the depths of the oceans but still some mysteries remain. Despite all these mysteries that the world has in store for us, nothing piques our curiosity more than the vast space outside our planet. Do other forms of life exist? Can we survive in the harsh environment of the space? These are just some of the questions that fill our minds but still answers seem to elude us. For centuries, great minds tried their best to seek for answers and gain more understanding about our solar system and other galaxies farther from us. But are we really close to finding the answers with the help of modern technology or are we just barely scratching the surface of even stranger things to come. The skies above the European Southern Observatory’s Paranal Observatory resemble oil on water, as greens, yellows, and blues blend to create an iridescent skyscape. The rocky, barren landscape below evokes an image of an alien world, perfectly complementing the shimmering cosmic display occurring above. The main feature is our beautiful home galaxy, the Milky Way, arching across the Chilean night sky and framing the awestruck observer on the left. The light from billions of stars combines to create the Milky Way’s glow, with huge clouds of dark dust blocking the light here and there and creating the dark and mottled pattern we observe. A natural effect known as airglow is responsible for the swathes of green and orange light that appear to be emanating from the horizon. ESO’s Very Large Telescope can be seen as a speck in the distant background to the right atop Cerro Paranal. Its neighbour, slightly lower down, is the Visible and Infrared Survey Telescope for Astronomy (VISTA). We try to develop technologies that will allow us to see the world outside in a different light and find out once and for all whether living outside our planet is actually possible. Our planet is aging and the threat of global warming and climate change has caused some people to panic but experts are doing their best to find out as much as they can the soonest time possible. Do you believe there’s life to be found on these other planets? First, let me correct you. “Believe” is not a scientific term, as a scientist you don’t need to “believe,” you have to experiment. You can try and search for suitable planets that could sustain life, if you have enough money and technology. NASA had the idea for the TPF, Terrestrial Planet Finder, which was a satellite that was considered to difficult and expensive to develop. Eventually, it will be done because this is a question we need to answer. It could take 10 or 20 years and won’t be easy, but I believe we will get there. When you have all the good conditions, chemistry and physics could explain how life forms. In the lab it’s not possible to test the existence if life exists out there, like in the ice layer of Europa, one of Jupiter’s four moons, the only way to do it is to observe. 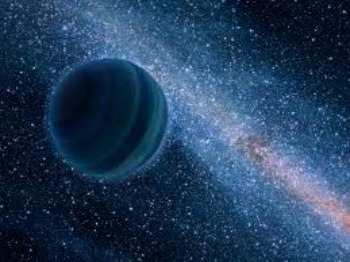 And it seems as if all their hard work are paying off with the discovery of an exoplanet (a planet orbiting another star outside our own solar system) with evidence of an atmosphere raises the hope of experts that it may possibly support human life. There is still much that we need to know about life outside our planet. Despite our best efforts over the past few decades, there are still a lot of mysteries clouding the vast space and we are unsure whether we will be able to uncover all the answers in our lifetime. Many are desperate to find out whether the human race can survive in another planet once Earth can no longer support existing life forms. However, it is still us to blame for the planet’s gradual destruction because of our abuse and misuse of Earth’s resources for our comfort and convenience. Nevertheless, it would be great if man can overcome the challenges of astronomical studies and make it possible for us to finally leave Earth for good, if worst comes to worst. Money makes the world go round that is without a doubt. Some even worship it because of the many things you can do with ease. You can buy beautiful clothes, jewelry, homes, cars, and all the luxuries in the world and no longer have to worry about what the future holds. However, having too much money isn’t the answer to all your problems because greed can do you a lot of harm. Money can make a world of difference where everyone can benefit when used right. For your information, about 1/3 to ½ of the economic prosperity we are now reaping is the product of the numerous developments since the end of the Second World War. 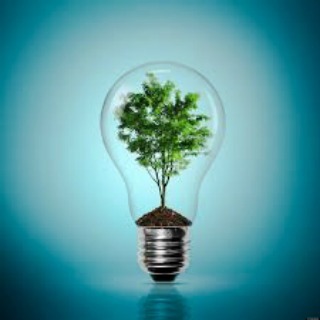 Everything we take for granted today all started as an idea that became a reality with the help of scientific research. Scientific developments fuel prosperity. Most progressive countries have spent a great deal of effort and money in discovering and developing many scientific innovations from scratch that not only propelled the economy upwards but also uplifted the lives of many. We all know scientific researches take time and require a lot of money. 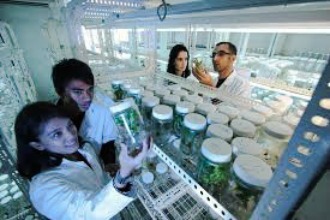 The government funds many of these researches in the name of science to also get ahead of other nations. Some of these researches can drag on and take years before something fruitful comes out of it but others deliver the results we are looking for in a short span of time. Many of these researches won’t even happen if the government did not believe in the vision of scientists in realizing the ideas circling in their heads. For decades, Chicago has had a backyard view of science at its most sublime. At Fermi National Accelerator Laboratory, physicists hone our understanding of the universe by trailblazing the frontier of the subatomic. At Argonne National Laboratory, scientists probe ways to make lighter, cheaper batteries for electric cars and smartphones, and tackle global water scarcity with membranes fine enough to filter out viruses and nanoscale pollutants. That’s practical research that recognizes how finite the planet’s resources are. Advancing battery technology helps ensure a reliable power source for tomorrow’s driverless cars and taxi drones. How bad are the world’s water troubles? Water scarcity affects at least 700 million people in 43 countries, according to the United Nations. By 2025, the number of people living in areas without enough water will rise to 1.8 billion, the U.N. projects. It’s disturbing to see where that research fits into President Donald Trump’s federal spending priorities. Under Trump’s proposed budget for fiscal year 2018, the Department of Energy’s Office of Science, which oversees Fermi, Argonne and eight other national laboratories, would take a $900 million budget cut. No matter how much scientific research has contributed to the betterment of society, not everyone is a fan of it. We all heard about President Donald Trump’s budget cuts on various sectors like the arts and education. Science isn’t exempted either. These are just some of the things he doesn’t personally believe in like how we consider climate change as merely a hoax. As Environmental Protection Agency Administrator Scott Pruitt defended massive proposed budget cuts to a House subcommittee Thursday, experts from the nation’s top science organization voiced their support for one of the programs slated for elimination. A report released Thursday by the National Academy of Sciences — and prepared at the request of the EPA — argues that the agency’s Science to Achieve Results, or STAR, program, which provides millions of dollars in funding for scientific research each year, has contributed to important benefits for the environment and the public health. And it recommends that the agency continue to use it. “This report shows that through STAR, EPA has created a vehicle that fosters collaboration and knowledge-sharing, which have produced research that has supported interventions that may reduce the cost of regulations, protect public health, and save lives,” the document states. Trump’s proposed 2018 budget will hurt various industries a lot and it is a major cause of concern for both environmentalists and scientists. Federal funding that supported scientific researches has initiated innovations on health and science that are desperately needed by the public. They wouldn’t all be possible without the government’s help. In reality, many of these programs that would be badly hit by the budget cut have produced lifesaving and practical results. Losing them would mean a certain harm for all Americans who would rather see their taxes go to much-needed scientific developments than border walls even if they are solar-powered. The public knows about various goods and services because of advertising. Businesses actually spend a great deal of money to make sure their brand is seen by people everywhere, from traditional billboards, newspaper and magazine spots, TV commercials, and these days, the web is the new and best platform to get your business noticed by everyone. E-advertising, online advertising, online marketing, web advertising, Internet advertising or plainly called e-word of mouth, advertising on the web is the best thing any business can do to grow their business and take advantage of the various tech innovations to their advantage. There are different tools one can use without spending a fortune. Social media is one of the easiest and cheapest platform and most businesses are going crazy in promoting their brand here and there. 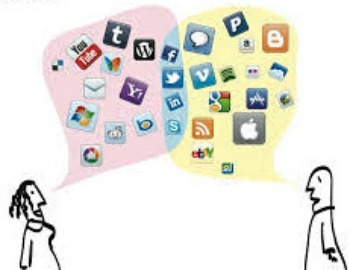 Large and small companies may leverage an investment in social media marketing differently, according to HubSpot. In fact, these average differences in the way companies of different sizes portion their budgets help to illustrate how SMBs have used this kind of online advertising and marketing to help level the playing field between themselves and their larger competitors. Small companies were likely to spend 2x as much of their overall marketing budget for online advertising on social sites. Enterprises were likely to spend far more money on such outbound advertising tactics as mail, phone marketing, and trade shows. The figures from HubSpot do demonstrate that SMBs find online advertising an economical way to run an ad campaign, expand their reach, and even interact with prospects and customers. At the same time, they can’t expect to operate exactly the same way that big companies do. Everyone is on the web nowadays. People spend a great deal of their time online, whether for work or just plain browsing. It is why businesses are also taking advantage of online advertising because traditional advertising just became far too expensive but does not deliver the results most businesses are after. Nowadays, even online advertising is taking a major hit as businesses are no longer happy seeing their ads in dubious sites, fake news and even pirated shows. With traditional advertising, they know just where their ads go but not with online advertising. In the tangled ecosystem that is online advertising, such nefarious websites collectively reap billions of dollars annually bilking advertisers. Many large companies wouldn’t want their ads financing distributors of misleading news, deceptive or counterfeit products, pirated movies and TV shows, or extremist groups. But that’s exactly what happens every day. Media companies and their advertisers are shortchanged $8 billion a year because of scams, or more than the estimated combined revenue of Lionsgate, Paramount Pictures and MGM Studios. Advertisers think they’re getting the desired views and clicks. But companies taking closer looks are finding unwelcome results. Websites where ads appear are visited by robots — computers hacked to impersonate real browsing behaviors. Others traffic in content people crave but upstanding businesses wouldn’t want to support, such as bootlegged movies or terrorist propaganda. The set-up is siphoning potential revenue from legitimate media companies to shady ones. And it’s enabling hucksters to profit in fake newswriting and piracy thanks to ad views. The web remains to be a major force in the world today. And it is not always a walk in the park when you do business online. The web is full of scams and scandals that would put even the most liberal person to shame, not to mention the part of the dark web where many cyber criminals like pedophiles abound. But still, e-advertising remains to be the most practical thing to invest in these days for businesses because people frequent the web almost daily whether through their computers or their mobile gadgets. And for many, social media marketing, particularly with video has been a fast favorite because everyone is on most social networks that you can be sure your ads are seen by virtually everyone on the web. And most of the time, when people see something they like, they tell others too and it’s like a chain reaction after that and it’s what businesses keep rolling despite the competition. The human species is so diverse despite our similar appearance. Unlike other species in this planet with sub-species that look so different from one another, humans almost look alike except for a variety in skin color and some features that determine our regional ancestry. Meanwhile, our cultural diversity also explains the difference on human behavior. However, human behavior changes the more we dabble with technology especially with social media. 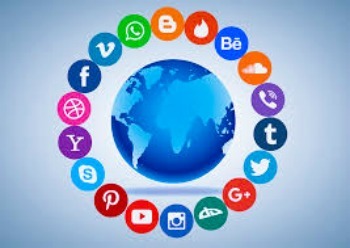 Aside from the fact that most people in the world today use the Internet in their daily lives, social networks are also a popular hub to connect and communicate with the world at large. After all, we are a product of the environment. Relationships, shopping choices, good humor, and even study habits are now affected by social media. These social networks initially started to support existing social relations we already have but as the years go by, other social media platforms were developed that encouraged people to meet and befriend complete strangers aside from the ones where they already have existing offline relationships with. People adopt unique personas for different social networking sites such as Facebook or LinkedIn, a team of researchers, including an Indian-origin researcher, have found. “Users tend to portray themselves differently in these different worlds,” said Dongwon Lee, associate professor at Pennsylvania State University in the US. Researchers theorised that these different personas stem from a desire to fit within the distinctive culture or etiquette of each site. For instance, a photo of someone’s colorful drink may be popular on Instagram, but the same image post to LinkedIn would be frowned upon. “The users tend to portray themselves differently in these different worlds,” Mr Lee explained. Human behavior is so flexible it enables people to adapt to different circumstances with ease but at times this trait does more harm than good. When people change who they are to fit in to what society dictates they should be, that’s when things start to become a cause of concern. A lot has changed since technology took over the world. Back then, not everyone had access to these sophisticated gadgets because they are far too expensive and only the rich can afford it. But with the mass production of these things, even the masses can now afford to buy one without spending a fortune. And it’s not that impossible anymore to get these gadgets fixed once they get broken. Human behavior also changed along with the rise of the Internet and social media. People are always on their smartphones or gadgets checking on their social media accounts that they often mistake virtual reality for real life. Moreover, people usually only show the good side of their lives to the public but in reality, life is not a bed of roses. There are difficulties and challenges that come our way but we often bottle it up, to give others the perception that our life is perfect. In that way, social media affects human behavior negatively. The key here is to use it in moderation knowing how many people often lose themselves when using it. Even too much of a good thing can still be bad for you. Humans are social animals. Although we long for our peace and solitude at times, we mostly thrive in the company of others. From our childhood to adult life, we have various relationships with the people around us. And our modern world capitalized on this relationship-based society in making social media what it is today. There are all sorts of social media everywhere but still, people can’t get enough of it. Social media users grew exponentially and it is now even used in growing and promoting businesses as well. Along with the advent of the Internet are E-Commerce businesses. This platform enabled most conventional businesses to sell online and even opened up a whole new plethora of internet-based businesses only. And then along came social media to take things to a higher level. The ads you see on your screen are there for a reason and many people are making money out of it. 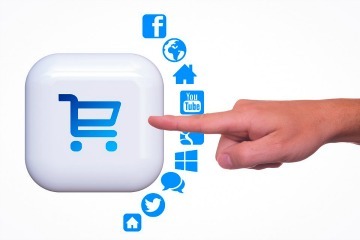 Even E-Commerce sites are using social media to grow their profit and tap a wider audience. Facebook, Social Media and E-Commerce boom and their connection. 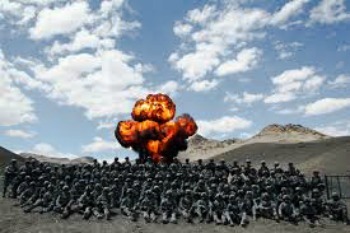 When the internet was born, it was helping the armies, however, it began as a competitive advantage for every business that embraced it. Nowadays, very quickly, the Web becomes a business necessity. It is simply not possible to remain competitive without having an online presence. Over the last few years, the number of adults using social media has skyrocketed worldwide. Facebook recently reported that it had more than 1.2 billion monthly active users on the site in 2013, according to Reuters. More than 70 million people use Pinterest, while Twitter had more than 200 million active users in 2013. In 2016, according to Malaysian Digital Association, Malaysian spends the average of 18 hours on internet per week and Facebook is on top of the list for social sites accessed by Malaysians. Although many people use these and other social media platforms just to stay in touch with their friends and family, they have a profound impact on many aspects of business and e-commerce. The companies that embraced the existence of social media are now generating roughly $2.4 million every minute through e-commerce. A large chunk of this revenue comes directly from social media, with Facebook, Instagram, Pinterest and Twitter helping to generate more than $40,000 every 60 seconds. Whenever you log into your social media accounts, you see various sponsored posts or postings about businesses here and there. They are subconsciously promoting their business to us through the engaging posts and photos they post daily and we end up wanting more. But as brands move beyond their apps and court customers on social media and the mobile web, there’s still plenty more for them to do to get ahead, according to a new study by L2. The market research firm said contextual commerce — practice of giving shoppers the option to buy where they want — offers expanding opportunities to retailers as consumers pass by a multitude of apps in favor of the mobile web and social media. All businesses must establish an online presence if they want to keep up with all the changes happening in the world today. E-Commerce and social media now go hand in hand if you want to beat the competition and make your brand stand out, so the people think of it first when they need a product or service in line with your industry. Facebook, Instagram and Twitter are the most popular social networks, and each has a unique audience. It’s important to first get to know these differences so that you can take a specific approach with each one. Here are a few things to know as you plan your marketing efforts. Facebook is less open than other social media platforms, but its continuing popularity makes it impossible to ignore. The platform is very community based, making it ideal for local B2C businesses. However, when used correctly, it can also be a valuable resource for online retailers that operate without regional restrictions. Shares are crucial to success on Facebook, since they’re the only organic way to reach people who haven’t liked your page. Include photographs with every post and overlay them with text describing your current special. As popular as Facebook has become, its demographic skews slightly older, making it less-than-ideal for businesses interested in reaching those in their teens and 20s. Instagram’s demographics falls squarely into that age bracket, with 55 percent of all 18- to 29-year-old Americans who are online using the site. Twitter’s 140-character limit makes it a challenge for marketers, but when used correctly, it can be a powerful tool. Through the use of hashtags, you can reach customers who might be looking for items like yours. However, images that encourage re-tweets can be even more effective in reaching potential customers. Twitter has also become a venue for customer service requests, so it’s important to maintain an active presence and set up notifications to ensure you know as soon as your brand is mentioned. We can’t stop progress from happening and that direction is taking us to more technological advancements in the years to come. Our lives will forever be intertwined with technology. For you to thrive in this new world, you have to embrace it and master it as soon as you can. As they say, ignorance is never an excuse. The same thing is true in the world of e-commerce. Whatever your opinion of social media is irrelevant and you have to put it aside in order to grow your business. Join in on the bandwagon and make money using this platform that allows you the best and widest exposure at the most reasonable price. There is a social media platform for each demographic and you can make the most of it to promote your business and grow your brand while at the same time building a long list of growing followers and social media influencers who can help establish your empire. E-commerce is not just a term anymore for online shopping. You now influence people to patronize your brand because of your strong social media presence. We are all familiar with social media while we have heard of SEO now and then when we surf the web unless you work online for a living. Back in the days, we rarely use the web when we use the computer. Most of the time, we just use Word to type in documents, play Solitaire or other PC games or work on Excel. As technology advances and internet services became more reasonable and widely distributed, people got hooked into web browsing and social media became a big hit, all the more reason for us to stay online for longer. 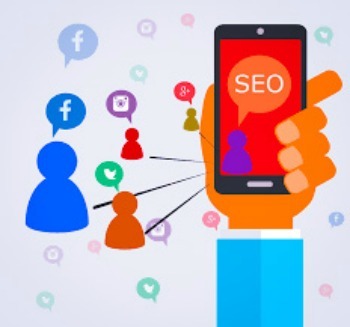 If you just found out about SEO or search engine optimization, you’ll find out that it no longer focuses on singular keywords but of intent and search user needs as well as long-tail searches. People search for something on the web because they have a need for it, which may or may not always translate to a sale. By adding social media into the equation, it provides your site more visibility and a wider audience. However, many are still puzzled whether contents that go viral on social media, also help boost your site’s ranking as well. Content marketing is about informing and entertaining your audience, social media is about promoting your content, and SEO is about making sure the technical t’s are crossed and i’s are dotted so search engines can find your content, right? Wrong. All three work toward the same thing: achieving relevance for your audience. With the organic online marketing ecosystem growing, it’s no surprise that SEO, social media, and content marketing are finding themselves under the same umbrella. When the three are working in sync, they help acquire customers and increase website traffic through valuable content. This is in part due to the changes to Google algorithms, which now factor social signals as an indicator in search rankings. To make an organic marketing plan that works towards your company’s goals, it’s important to know how content marketing, social media and SEO all fit into the same strategy. The goal is to build the business and increase profit through increased visibility and also grow your online presence, so people think of your brand first whenever they think of the industry product/ service you are in. Is SEO dead? With the ever-changing digital landscape and social media takeover, SEO isn’t what it used to be. While SEO is certainly not dead, it is definitely changing. No longer is SEO just relevant to search engines like Google and Bing. People are now going to social media sites and using them as search engines. Facebook, Youtube, Twitter, LinkedIn – these are all be utilized as “search engines” by billions of people. With more than 2.3 million Google searches per minute, Google is still a major driver of all internet traffic and it’s crucial that your business has prime real estate in Google. 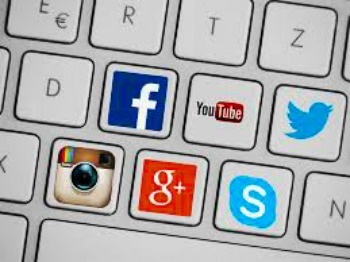 Leveraging the power of social media properly, can not only increase your visibility on social networks, but it can also increase your search engine rankings. While shares made on social media may not be that helpful in boosting your site’s page ranking, they can still work as credible bank links, which may actually still hep boost search listing over time. With competition taking on the global stage, you need your SEO and social media marketing game strong and on-point if you want to succeed and make a name in the industry you are in. Even if you are already an established business, you need to build a strong online presence to maintain and grow your business. Most people go online now for various reasons, and you don’t want to miss out on the opportunity of reaching people from all over the world and possibly sell your product or service. Businesses often hire SEO and social media experts to do the job for them while smaller businesses often manage social media accounts once the site has been set up by a professional because it is cheaper to operate that way. SEO and social media, when both done right, can multiply your earnings by 10 to 100 times it is now. The potential is limitless when you are on the Internet, so don’t miss out on this chance.